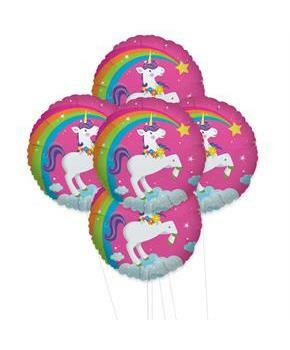 Home→ Party Supplies & Decorations→ Balloons→ Balloon Sets & Bouquets→ Unicorn, Horse & Ponies → Fairytale Unicorn Party 5pc Foil Balloon Kit 18"
Fairytale Unicorn Party 5pc Foil Balloon Kit 18"
Name: Pack of 5 is currently out of stock! 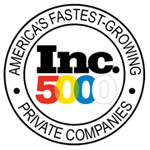 Includes: (5) If one unicorn is good, five is great! 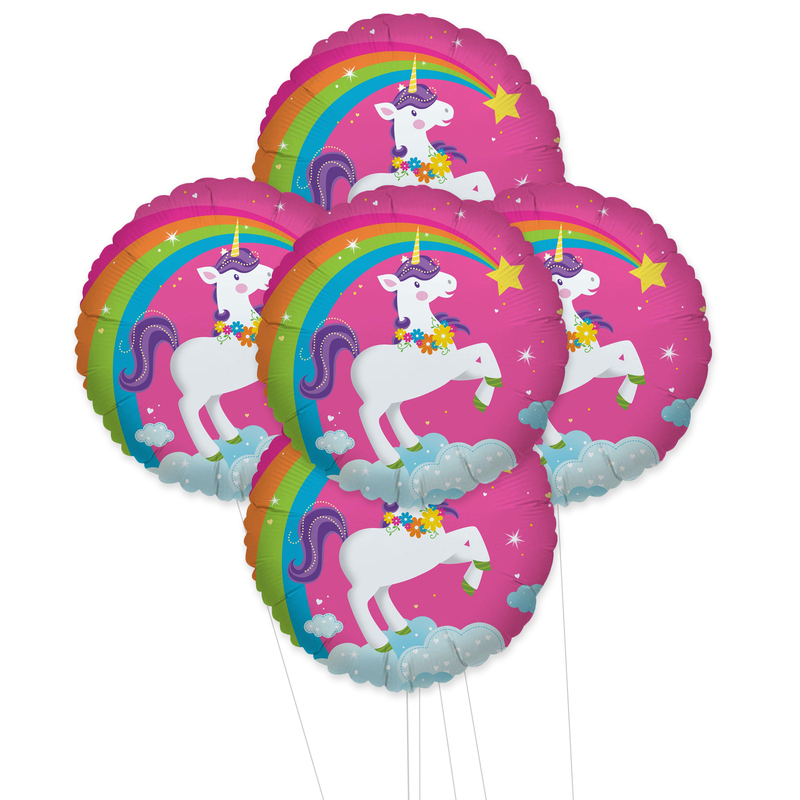 Add the Fairytale Unicorn Party 5pc Foil Balloon Kit to your cart for a guaranteed great time. Mix in a few shades of pink latex balloons and curling ribbon to create a magical gathering for your Princess. The Fairytale Unicorn Party 5pc Foil Balloon Kit includes (5) 18" Foil Balloons.